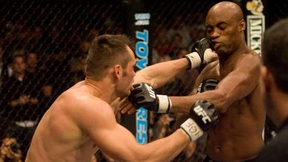 In one of the biggest shockers of 2006, Muay Thai expert Anderson "The Spider" Silva scored a first round technical knockout over Rich "Ace" Franklin to convincingly win the UFC Middleweight Championship. 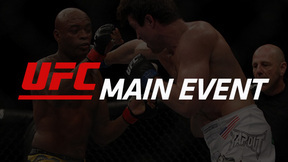 Now, nearly one year later, Silva has successfully defended his title twice, and Franklin has made a solid return to the top of UFC's middleweight rankings. 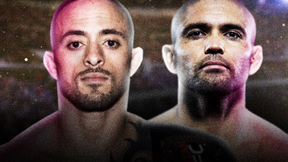 At UFC 77: HOSTILE TERRITORY, the championship rematch takes place in front of Franklin's hometown crowd. 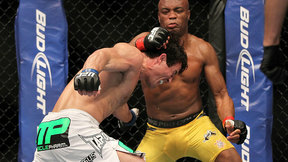 Will Anderson Silva be able to emerge from his opponent's home turf with the championship in tact? Anderson Silva vs Rich Franklin UFC 77 Sat, Oct 20, 2007 (1:24) After smashing his nose and taking his championship belt in their first meeting, Anderson Silva looked to repeat his victory versus Rich Franklin. Franklin, the former math teacher from Ohio, wanted nothing more than to get his belt back. 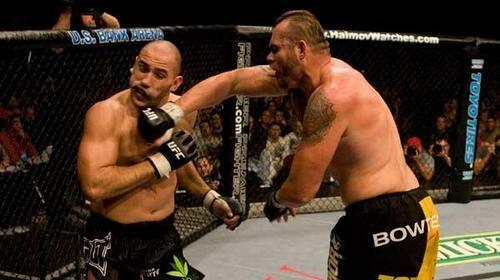 Tim Sylvia vs. Brandon Vera UFC 77 Sat, Oct 20, 2007 (35:52) Ellsworth, Maine's Tim Sylvia had just lost the heavyweight belt to Randy Couture in his third ever loss. 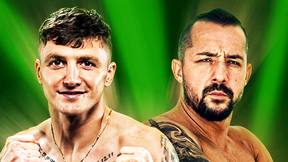 Looking to rebound, he faced San Diego's undefeated Brandon Vera, who was looking to become the top contender in the division. 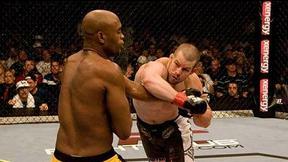 Alvin Robinson vs. Jorge Gurgel UFC 77 Sat, Oct 20, 2007 (29:30) Like the action heroes that prompted his training in martial arts as a chid, Alvin Robinson is an exciting battler, who has all 9 of wins by submission. For a Brazilian Jiu-Jitsu Black Belt, Jorge Gurgel has established a rep a stand and trade fighter. Stephan Bonnar vs. Eric Schafer UFC 77 Sat, Oct 20, 2007 (20:26) After two consecutive losses, Stephan Bonnar is in desperate need of a victory in this light heavyweight matchup with Mike Nickels. 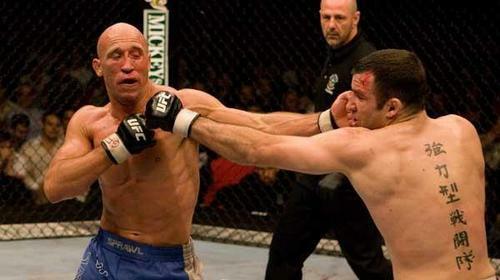 Like Bonnar, Nickels has also appeared on The Ultimate Fighter, although he never made the impact that Bonnar did. Alan Belcher vs. Kalib Starnes UFC 77 Sat, Oct 20, 2007 (20:29) Alan Belcher had been working his Muay Thai and showed it off against the dangerous jiu-jitsu specialist Kalib Starnes. Belcher broke out the entire arsenal throwing punches, elbows, and kicks, even flying knees onto the TUF 3 veteran Kalib Starnes. Yushin Okami vs. Jason McDonald UFC 77 Sat, Oct 20, 2007 (26:34) Canadian Jason MacDonald may have taken 7 years to get to the UFC, but with his 1st rd. submission of Herman, fans saw he was here to stay. Japan's Yushin Okami tore through the ranks, but after a close decision with Franklin, he's looking for a win. Demian Maia vs. Ryan Jensen UFC 77 Sat, Oct 20, 2007 (11:19) Winner of an array of grappling tournaments, including Abu Dhabi, Pan Ams, & Sao Paulo, Demian Maia established himself as one of the premier BJJ practitioners in the world. In his UFC debut, Maia went up against Ryan Jensen, a hard hitting warrior with an impressive record. 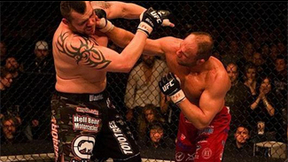 Josh Burkman vs. Forrest Petz UFC 77 Sat, Oct 20, 2007 (27:13) With a nickname like “The Meat Cleaver”, Forrest Petz lives up to that billing with KO power in both hands and a fearsome body attack. With wins in 5 of his 7 bouts, Josh Burkman has established himself as one of the top welterweight prospects in the game. Matt Grice vs. Jason Black UFC 77 Sat, Oct 20, 2007 (28:50) Welterweight Bouts Matt Grice and Jason Black were featured in the first fight of UFC® 77, a three-round battle which first ends in a draw, but upon re-count of judges scores, became a win for Grice.